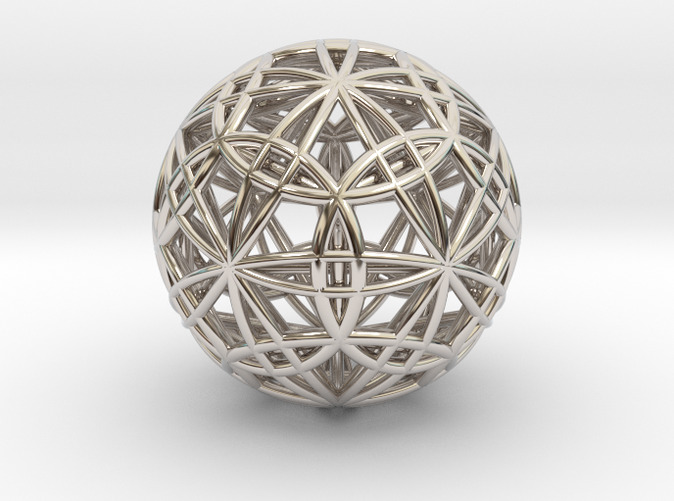 This beautiful and powerful shape is the combination of an Icosasphere with nested Icosahedron and a Dodecasphere with nested Dodecahedron. 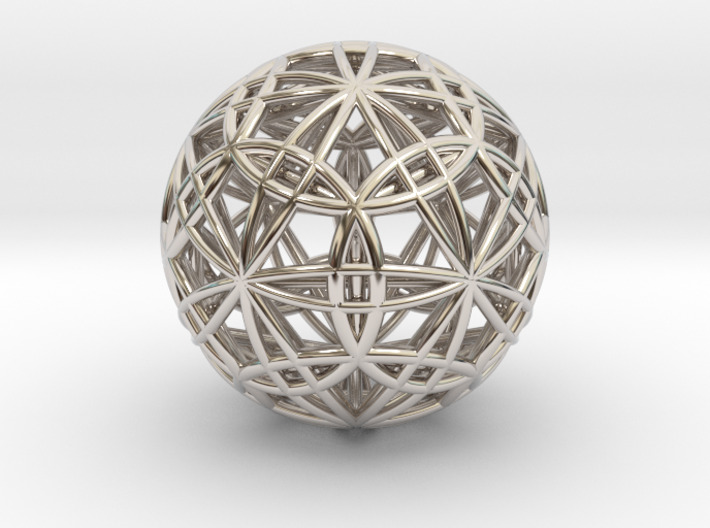 The outer portion of the shape is called an IcosaDodecasphere. 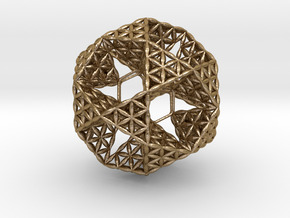 Inside of this shape, the Icosahedron and Dodecahedron shapes both touch the outer sphere BUT they do not touch each other - the segments that make up the edges of the Dodecahedron "float" on top of the Icosahedron edges. 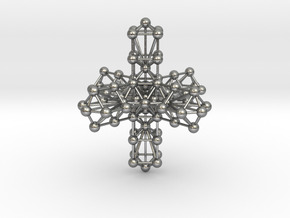 The Icosahedron represents water and the Dodecahedron represents spirit. 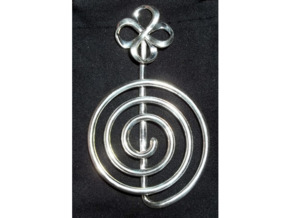 Combined in this special way, these shapes carry a frequency that could be described as "powerful holy water." 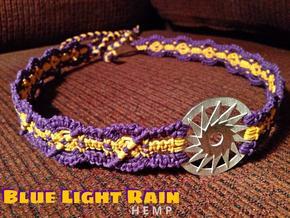 Ideal for aligning the water molecules in your body with spirit. I suggest wearing this as a pendant or holding it during meditation or placing it upon an altar or sacred space.